Do you want a powerful Rosso Corsa electric Ferrari driving you to your job on Wall Street while you read a book, listen to Chopin and laugh at middle-class peasants out your window? Too bad, because Motor Authority spoke with Ferrari boss Sergio Marchionne about autonomous Ferraris, and he told inevitability to take a hike. Sergio Marchionne is a bit of an entrenched, grumpy old man. He hates that he has to make electric cars and he’s basically given up on building small, efficient cars. To add to this image, when MA asked whether an autonomous Ferrari would ever see the light of day, Marchionne responded, saying “you’ll have to shoot me first.” It’s good to know that this is literally the same exact policy Marchionne has on a Ferrari SUV. He’s probably exaggerating a bit there, as I drove the Model S and wasn’t bothered one bit, though I will say: I’d much prefer the sound of a Ferrari V12. So he has a point, there. Still, his stance on keeping Ferrari “pure,” is an interesting one, as other supercar makers, like McLaren, seem a lot more willing to embrace electric vehicle technology and autonomobility. 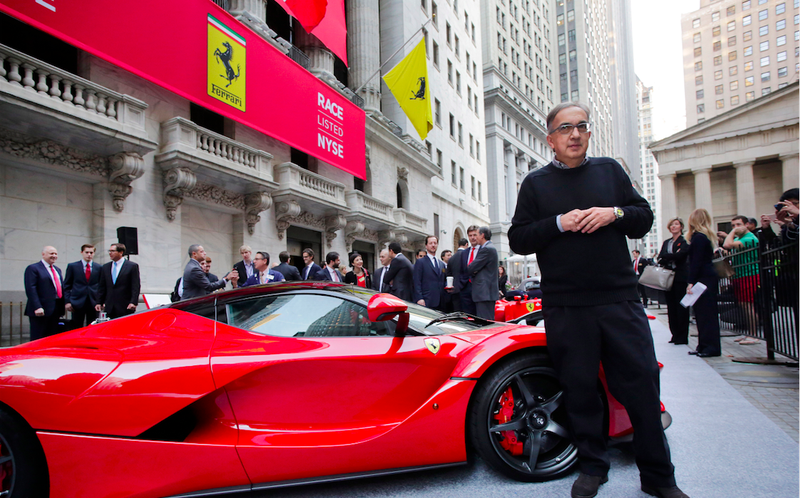 Is Marchionne putting Ferrari at a disadvantage compared to the competition? Will he change his mind in three weeks? Who the hell knows. This is Sergio we’re talking about.